Roger Ingram is one of the most dominant jazz lead trumpet players in the music industry. For decades, he has toured and recorded with some of the biggest names in the business including Wynton Marsalis, Harry Connick Jr, Arturo Sandoval, Ray Charles, Woody Herman, Maynard Ferguson, Tom Jones, Paul Anka, Louis Bellson, The Jazz At Lincoln Center Orchestra, Quincy Jones, Frank Sinatra and Chico O’Farrill. As a session musician, Roger has played on hundreds of recordings, movies scores, and commercials. Five of the albums Roger played lead on were nominated for Grammy Awards. Two of those albums won Grammy Awards. In 1996 Roger played lead trumpet on the album “Blood on the Fields” by Wynton Marsalis and the Jazz At Lincoln Center Orchestra which won the very first Pulitzer Prize in Jazz in 1997. While living in NYC, Roger was involved with over 20 Broadway productions, two of which won the prestigious Tony Award. Roger’s 2008 textbook, “Clinical Notes on Trumpet Playing” is on the required/recommended reading list for many music programs world-wide. 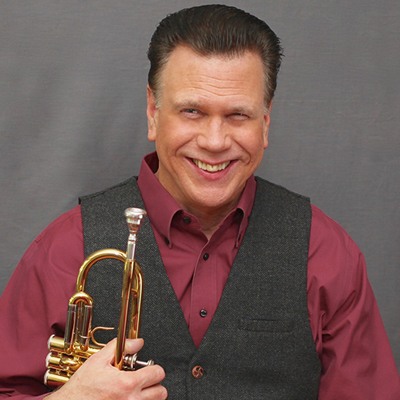 Roger is an XO Brass/Jupiter Performing Artist and Clinician, and in 2009, designed the XO Brass 1600I professional Bb trumpet. In 2012 Roger’s XO Brass trumpet was inducted into the Kentucky Museum’s Instruments of American Excellence Collection in Bowling Green, Kentucky. Roger designed a signature line of trumpet mouthpieces in 2008 which are available online through OneTooTree.com. In 2016 he designed a custom line of trumpet mutes which are available online through MuteMeister.com. Roger has recorded two albums as a leader: the 2014 “Live at the College Hideaway” and 2015’s critically acclaimed “Skylark.” Roger’s busy schedule includes recording and playing live performances, teaching and presenting masterclasses throughout the world.